Hire, drive and enjoy the freedom to explore this fabulous island of Adventure. The Isle of Man. 33 miles long.13 miles wide and with 688 miles of roads. An ancient Kingdom located in middle of the Irish Sea midway between England, Ireland, Scotland & Wales. Boasting miles of quiet endless country lanes offering breathtaking coastal and mountain scenery with enchanting glens, miles of uncrowded beaches, medieval castles, Victorian railways and trams, beautiful parks and gardens, fascinating museums and heritage centers, cafes and delicious Manx dining. 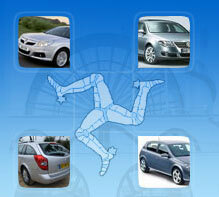 "For Manx Residents requiring Self-Drive Car Hire whilst visiting the UK (including Scotland, Wales, Northern Ireland & the Channel Islands), this website is dedicated to providing Isle of Man locals with a most convenient, fully inclusive & competitively priced Online booking facility, specifically targeting those destinations served by local Air & Sea Carriers. 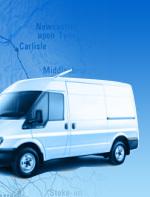 Our specially negotiated UK car rental terms provide Manx Residents with the flexibility of one way rentals between most UK Mainland Airport locations listed and with Unlimited Mileage your free to travel as far as you like, when you like. Where listed destinations do not provide a rental Station, "Meet and Greet" or "Drop-off" services are included by our chosen Suppliers." *An excess applies. Refer to "CDW" in Terms & Conditions. Copyright © 2007 isleofmancarhire.com, All Rights Reserved.